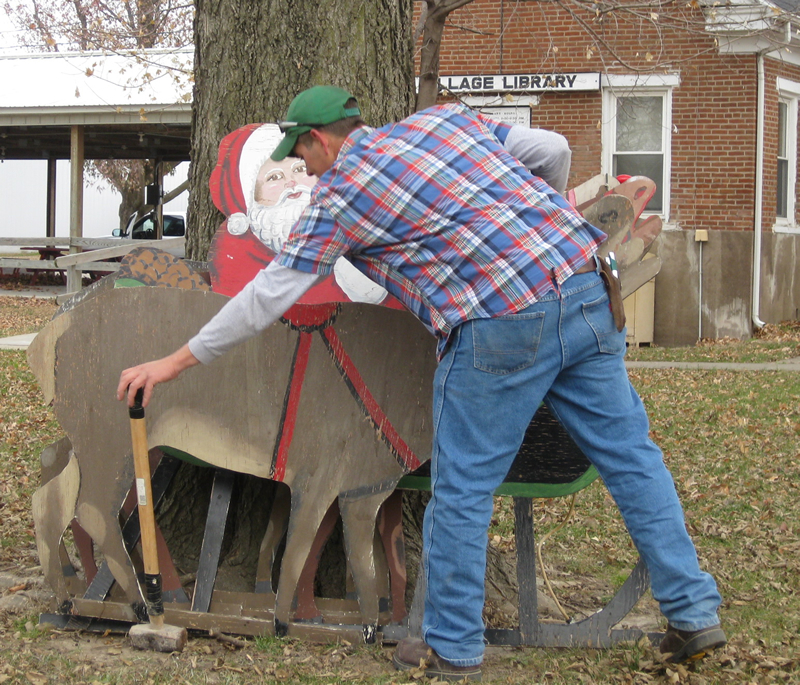 A team of volunteers was out in the park on Saturday morning, arranging the Village's holiday display. 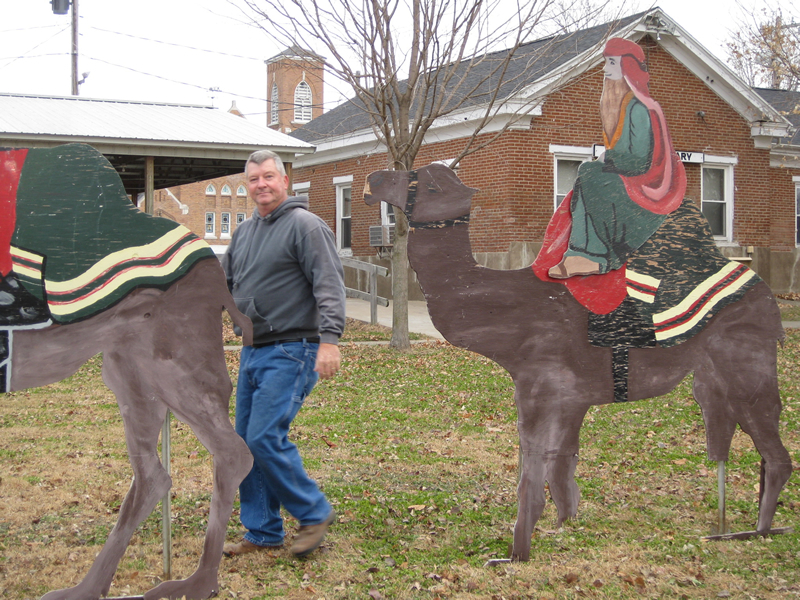 David Beard was in charge of the camel herd. 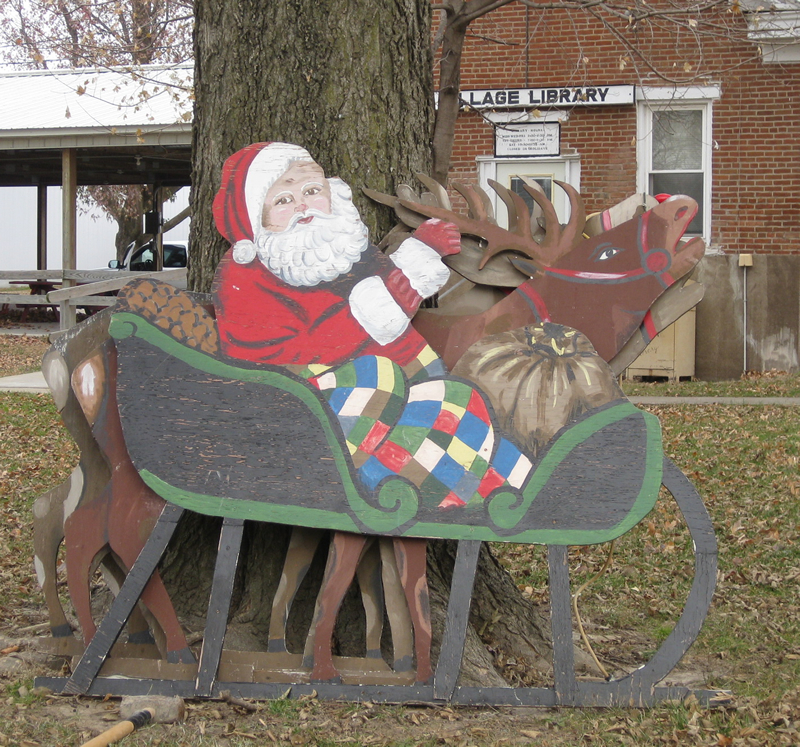 Santa, his sleigh, and reindeer, ready to be placed in the Village Park. 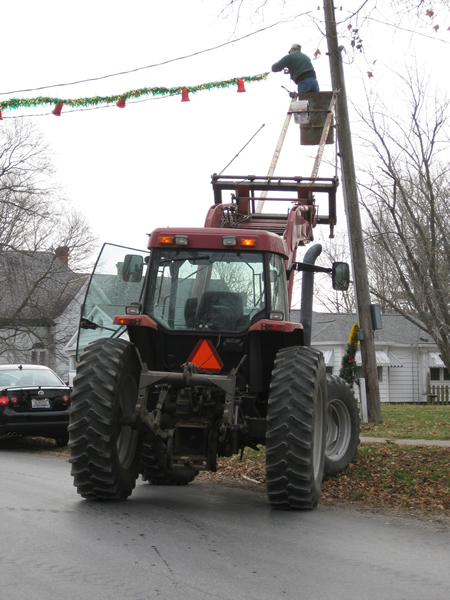 Placing garland over the streets, with the help of the lift on the tractor. 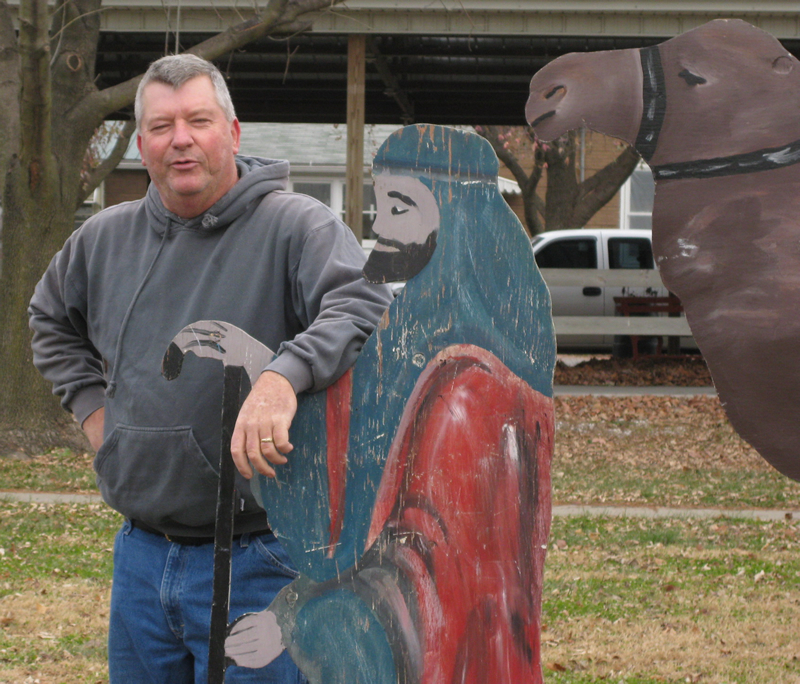 David Beard, Wise Man of Arenzville. 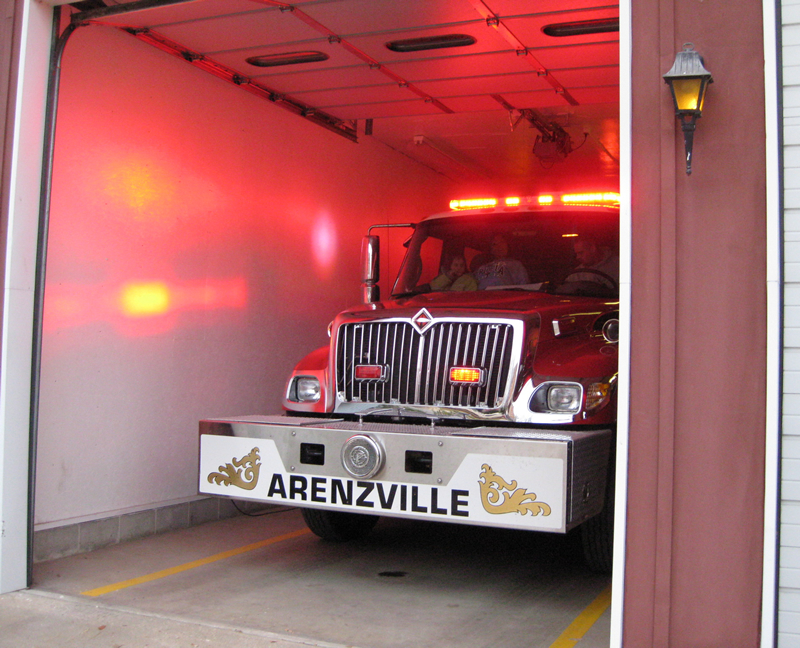 The Arenzville Volunteer Fire Department, ready to depart and meet the returning champions. 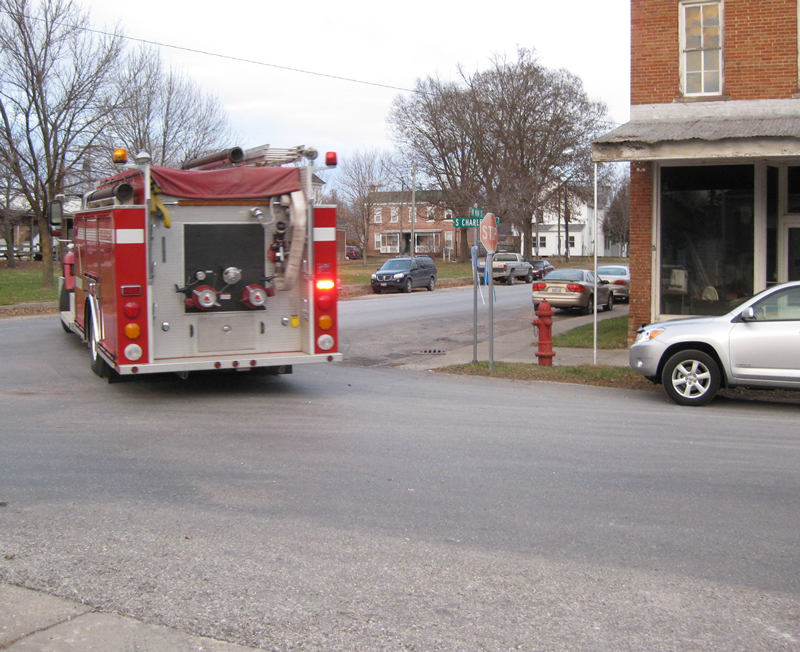 Horn blaring, the fire engine roars out of town toward a rendezvous with the team bus on the east side of Jacksonville. 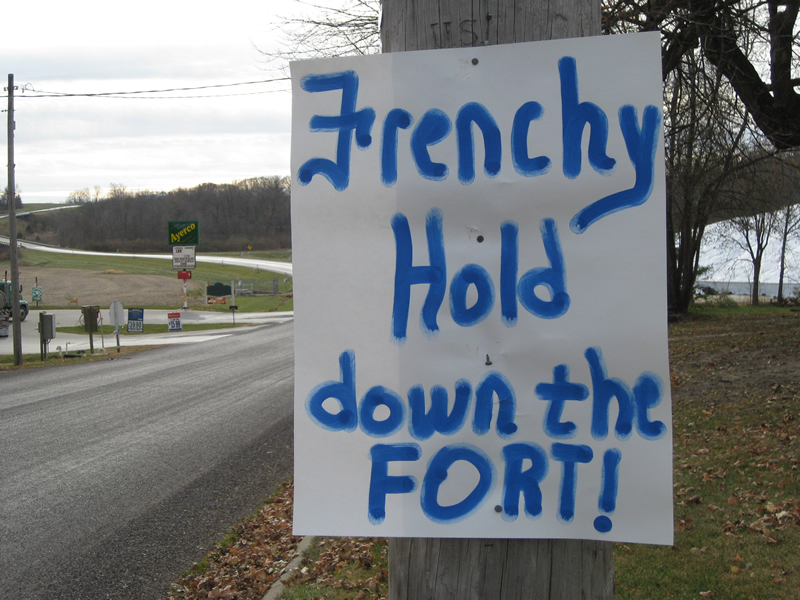 It seems that everyone had left town on Friday, the day of the championship game. 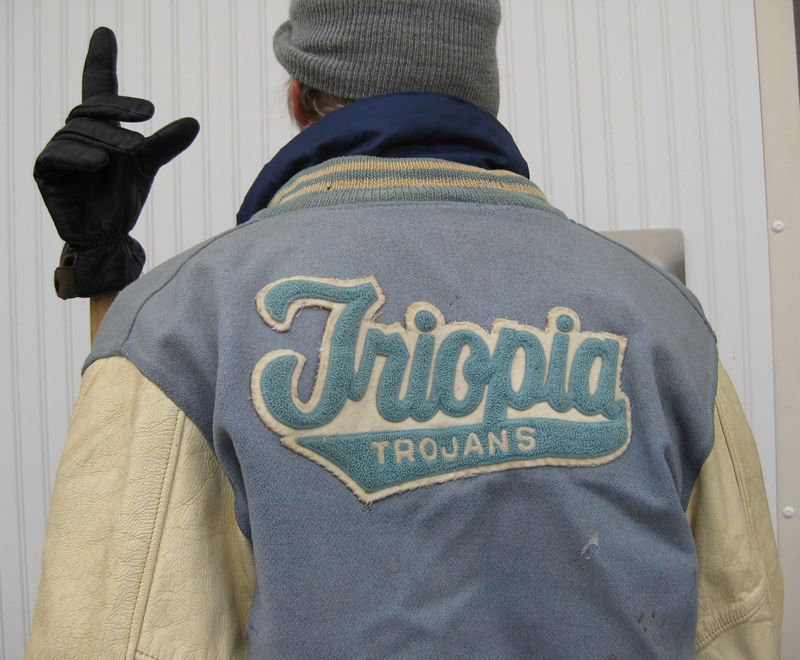 Trojan Pride -- Tony Clark, wearing his 40-year-old Triopia letterjacket, and display a glove signifying "we're number one!" 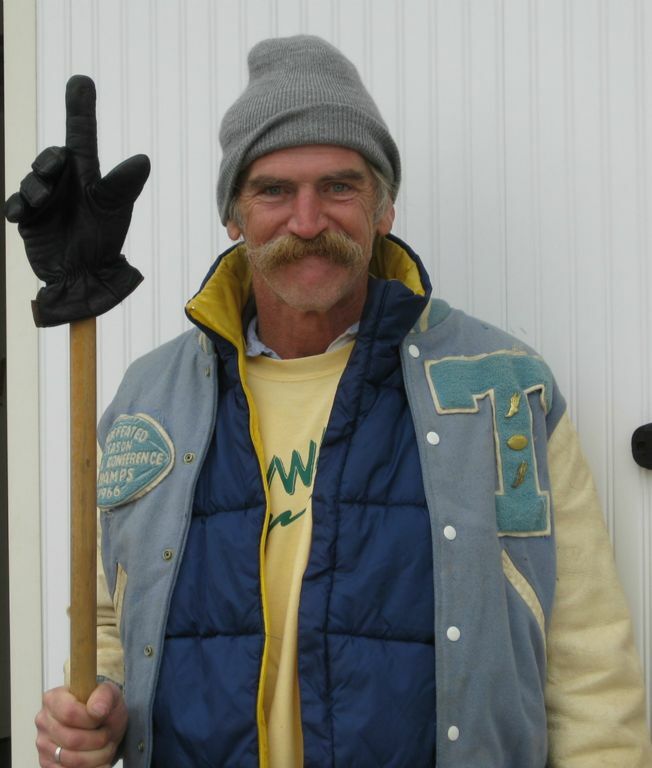 Fight on, fight on, Triopia. 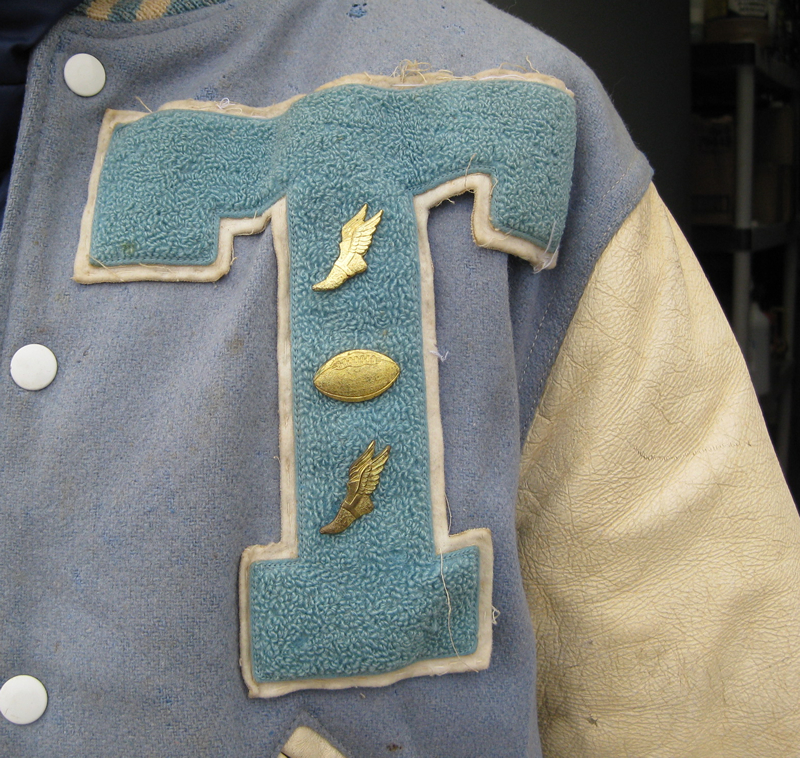 Even after 40 years, the big T looks pretty good. 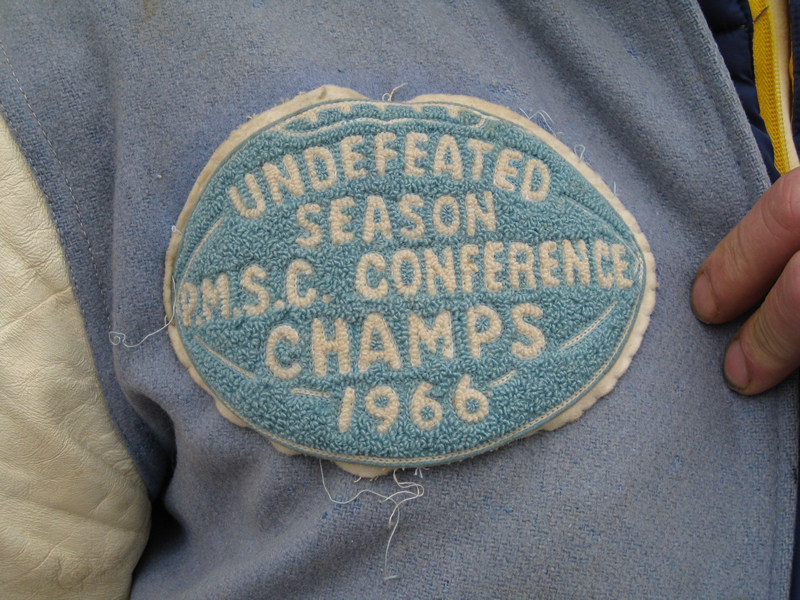 The Triopia Trojans have a long history of great teams. A few hundred fans celebrate the team's return to Don Kemp Field. 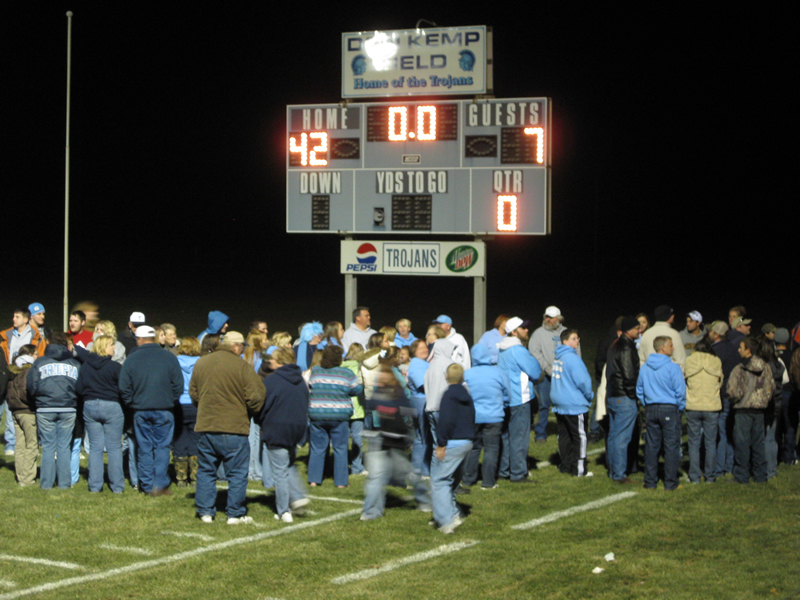 The final score of the championship game is shown on the scoreboard.